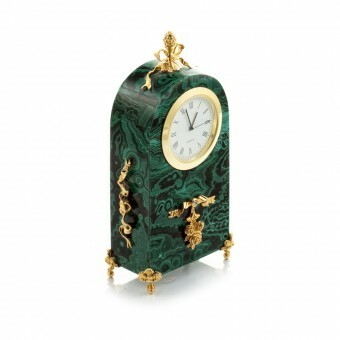 Home » Home Décor » Table Clocks » Table Clock "Pompadour"
It is possible to buy malachite jewelry and ornaments in many countries of the world, but pieces made by Russian craftsmen have always commanded the greatest respect and skill. 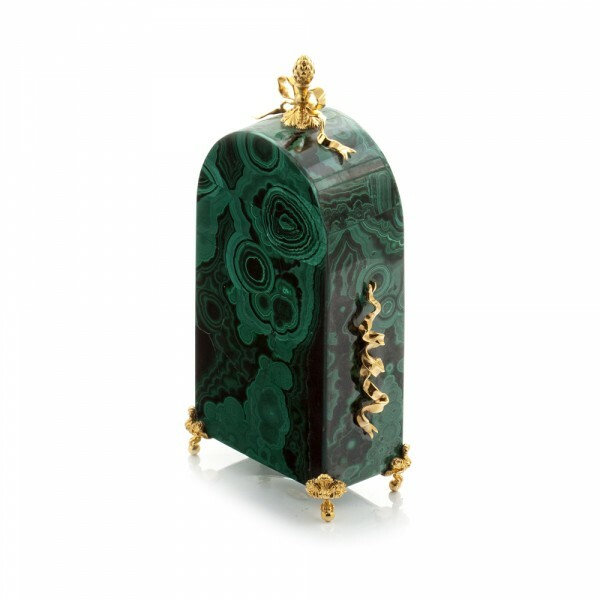 It was the master craftsmen from the Urals in the 18th century who made the gem popular and recognized by true connoisseurs. 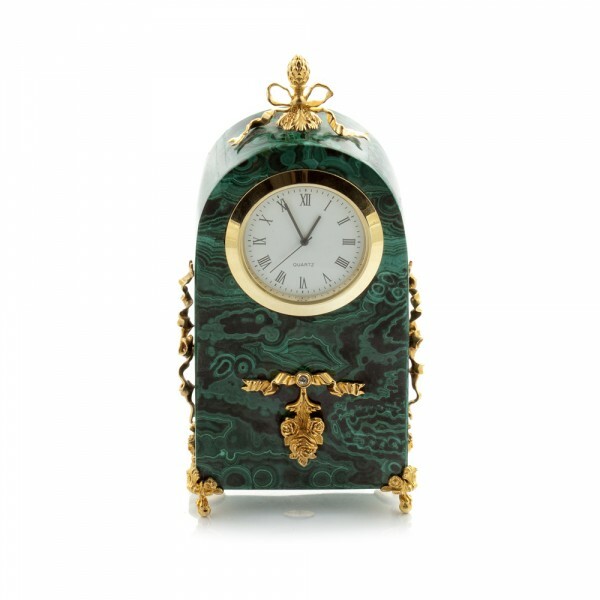 This "Pompadour" clock is in the baroque style and decorated with gold-leaf details to represent the luxury and splendor that previously was only available to members of the royal court.